Miriam Adeney once wrote, “You will never be completely at home again, because part of your heart will always be elsewhere. This is the price you pay for the richness of loving and knowing people in more than one place.” Leaving Oman was bittersweet. We were eager for another adventure, even if that adventure was back in Canada, but we were also sad to leave. Omanis are truly wonderful people, and teaching at the college was a real blessing. I had a lot of fun chatting with my students about their lives and dreams; I enjoyed sharing a meal with them; and tossing puffed rice for the fish in the falaj while picnicking at the Sultan’s mother’s rose garden. I fed off their positive energy and we laughed lots. As much as we appreciated the town of Salalah and the surrounding area -- the geographical wonders, the archeological sites, the souks, the culinary offerings and the rich history -- it was the people we met that made our time special. Living in Oman afforded us the opportunity to make friends not just with other Westerners and Omanis, but also with Indians, Pakistanis, Sri Lankans, Sudanese, Syrians and Lebanese. It reconfirmed our belief that people are basically good and kind and have a natural tendency to help others. We never felt unsafe or judged and, while there may have been day-to-day frustrations, we will always remember our time in Oman as a positive experience. Towards the end of our last year, my mother visited us for a few weeks and one her favourite memories is when Paula got the car stuck in the sand when we were picnicking near Taqah. As I was rocking the car back and forth, my mother went to wave down traffic for some help. A car quickly pulled over and three men got out. With a little pushing and pulling, and a lot of laughter, we finally got the car out. We shared our lunch with the three men, and they introduced themselves as the Sultan’s personal interior decorators. As we were finishing up, the topic turned to religion. One man was Muslim, one man was Christian, and the other man was Hindu. Very briefly, each took a turn discussing his faith. They weren’t hoping to convert us (or each other); they were just letting us know what our options were if ever we felt the need. We could pick and choose as we saw fit. This one moment reflected our experiences in Salalah. We were never forced to choose one or the other. It wasn’t us against them. We were free to take what we needed and leave what we didn’t. We Canadians pride ourselves on the cultural mosaic of our country, but small towns are still largely a homogeneous white culture and, as I now sit in Kingfisher Used Books and finish my cappuccino as the sun sets on the Purcell Mountains, I miss all the sights and sounds from so much ethnic diversity. We will always feel a connection to the Arabian seaside town, and to the country of Oman itself. We feel the pang of nostalgia when we sift through photos, remembering our boys at that age. We often think of Mustafa, and whether he is still smiling, feeding stray cats, and knocking down coconuts. I think about my students who by now must be married and have children of their own. Many of the shopkeepers have moved back to their home country, and most of the expats we knew no longer live in Oman, spreading themselves across the planet for new adventures. Some we have kept in touch with, but most have fallen by the wayside. 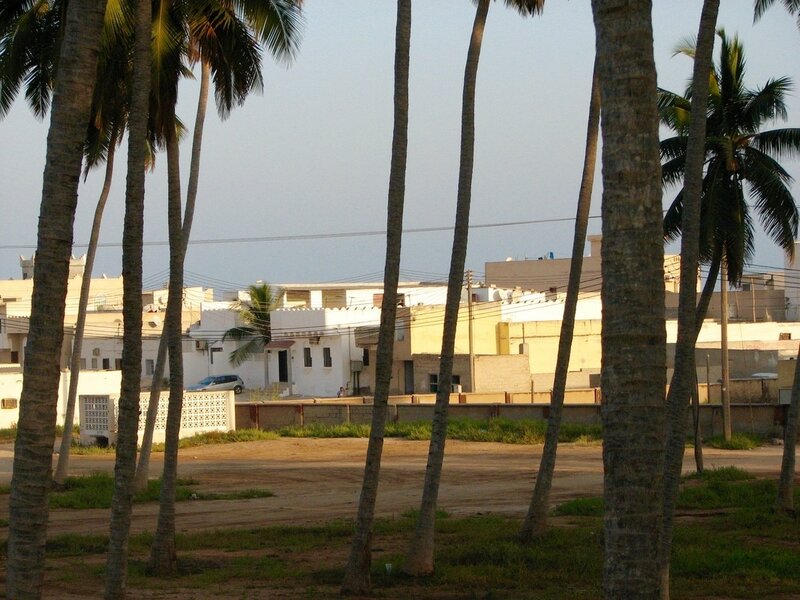 Despite modernization, I know the people of Salalah are balancing the old with the new, and still making time for simpler things: picnics on the beach, watching camels, and sharing jokes over cups of sweet tea.